Valetudo Multi-Sport coaching provides personal coaching services to all levels of triathletes, cyclists, and endurance sports enthusiasts. Personalized weekly training plans are available to suit your schedule, with access to your coach 24/7. Your training plan includes sport-specific progression with a focus on injury prevention/management and general strength and conditioning. Corrie is a Triathlon Australia Accredited Development Coach, with both a Cert 3 & 4 in Fitness. Corrie has been a Triathlon Australia Accredited Development Coach since 2013 and is currently completing her candidacy for the Performance Coach accreditation. A triathlete herself for 4 years, Corrie has personal experience racing various distances of triathlon and has completed 8x 70.3 distance triathlons with a number of top 10 age group results, as well placing 3rd in the Overall Pursuit Sprint State Series 25-29F in the 2014/2015 season. 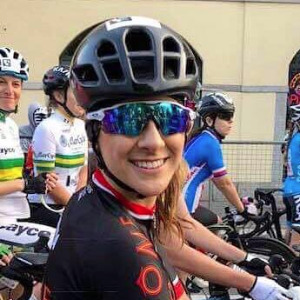 She is currently an A grade female cyclist in WA, placed 2nd in the State Open/Elite Road Race Championship in 2017, was 1st Female at the ATTA 2018 Hill Climb Championship, Overall Female Winner of the Goldfields Cyclassic 2018, 2nd Place in both the 2017 & 2018 Element Road Series, and is regularly on the podium at a number of local cycling races. Must have a running watch and/or bike computer which records pace/speed. Heart Rate essential. Power meter desirable. Success. Coach Corrie Johnstone has been notified of your message.